Be Careful of High Orchid Supply, It Can Be Dangerous! There are really some good orchid buys out there but be careful! Pay attention to the suppliers who have high orchid supply and production. If you are new to growing orchids check out this link. If you are careful you can get good deals AND healthy plants even at the larger suppliers. A side note here, this article is written as a guide when looking at orchids on sale. Yes, orchids are now so plentiful that you can buy them in your favorite grocery store or home improvement center. What we often call "big box stores." It is great in that many new orchid growers get their first orchids in this way. However, it is still buyer beware. Part of caring for orchids is buying a healthy plant that will live long and thrive long after the blossoms fade. So it is important to know that cheap orchids may not last you for the years that they should. 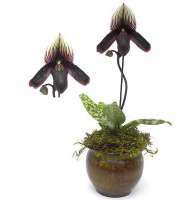 Not very long ago you would only see orchids in exclusive areas or with devoted hobbyists. Increased orchid supply is due to the propagation techniques. This has caused a proliferation in not only the numbers of plants but in hybrids. Orchid genera now number close to 35,000. Orchids purchased from a florist, or a company devoted to plants or a nursery or an orchid grower most likely to be good healthy plants and the suppliers will usually stand behind them. Plant orchid care dictates being careful in the purchase and to purchase healthy plants and not just inexpensive plants. Usually plants grown by growers will have labels with both the genera and the species. As you can remember from some of my other articles each genera and even some species will require different growing environments to become outstanding plants. Some may need to get more light while others may need to have a dry spell after blooming. Want to Learn More About Growing Orchids? Well stay tuned, I am just now putting the finishing touches on my own e-book and I hope to have it available for purchase in July 2013. Frequently people write me and ask me to recommend resources or sources of information to learn about orchids. So soon I will proudly be able to recommend my own e-book to my visitors and subscribers. I own about 20 hard orchid books and over 5 orchid e-books. I like different books for different reasons. The one I am writing is the one I would suggest to start with right now whether you are a new orchid grower or have some experience. As in other business areas when you get high orchid supply you will find suppliers that will take shortcuts. Why do I say that? Well, I have seen grocery stores and home center orchids and found that you usually get what you have paid for in those stores. My email box gets lots of mail from people struggling to get these orchids to thrive! 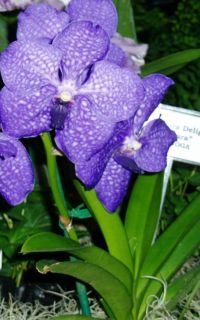 Most orchids I have seen in these stores are beautiful for sure but they are often not labeled with enough information for you to get the correct growing requirements. In fact, some come without care instructions. if this is the case, I would recommend that you not buy the plant unless you already identify it as a species that you know. High orchid supply can create problems for you. Here is one example of what happens. Just before the transportation to the stores a serious problem usually occurs with your orchids. They are re-potted. Most orchids do not need re-potting for at least every 2 years. So sometimes the root system is damaged in the process. Sometimes they are not potted in the correct medium and the media remains too moist. Sometimes this causes root rot particularly in Phalaenopsis orchids. Another thing they do (and this really bothers me) is they will put the orchids in decorative pots that have no drainage. So even if potted in a proper pot they do not have drainage in the "pretty" pot. So the roots can not breathe and the plant dies. The places that send these plants are usually doing so on a mass production basis, hence the high orchid supply. This creates stress for the orchids. And this stress weakens the plant. Sometimes in the long transportation time with extreme temperatures the plants can be weakened further either in the trucks or in the warehouse. As I said when the plant is re-potted it is given a growing mixture that will hold the moisture in the plants. Often times it is the wrong mixture. Orchids are mostly epiphytes or air plants and very few grow in soil. Part of the mixture that is used is moss and some soil. If you are not aware of the right culture for orchids you would not be aware that this mixture is not good for the plants in the long run. People keep the plants in the improper mixture to the detriment of the plants. Many of the plants from high orchid supply stores need to be transplanted into the right media for that kind of orchid. Orchid supply and quality do not always go together! Check out not only the general health of the plant and the health of the roots. Also look at the growing medium. Notice if the orchid seems to be lose in the pot. Sometimes the pots are too big for the plant or sometimes the roots have been damaged. Look for healthy leaves. Are they crinkled like your skin when you are in the water for a long time? This can be a sign of cold temperatures or not enough water. If the leaves have brown spots or are brown this is a sign of possibly being injured by the sun. Also take care to look for "bugs". You may see them or there may be a sticky substance on the leaves. One final word is to be very careful of cheap orchids that can cause trouble. Go in with your eyes open. Don't be afraid to to buy that lovely one that calls out to you and is just so beautiful that you have to have it and take it home. Do So! But just be prepared to right any wrongs done to the plant to make it happy in its new home. So my general advice is to shop carefully. Buying from reputable orchid growers will help you have high quality orchids for years to come.